The typical tattoo for someone who wants to express their individuality and personality, is their zodiac sign. But these birth flower tattoos are way cooler. As someone who has more than a few tattoos adorning their skin, I can tell you that trying to find the perfect design that expresses exactly what you want it to say, is damn near impossible. That’s probably why so many of us settle on getting our zodiac sign. And don’t get me wrong- there are some pretty fantastic zodiac pieces of art in the world, but for the most part, the selection is limited. If you’re a Leo, then you can either choose from a lion, or a squiggle with a line as your symbol. Sure, lions are awesome, but what if you’re a Virgo? You get the point. 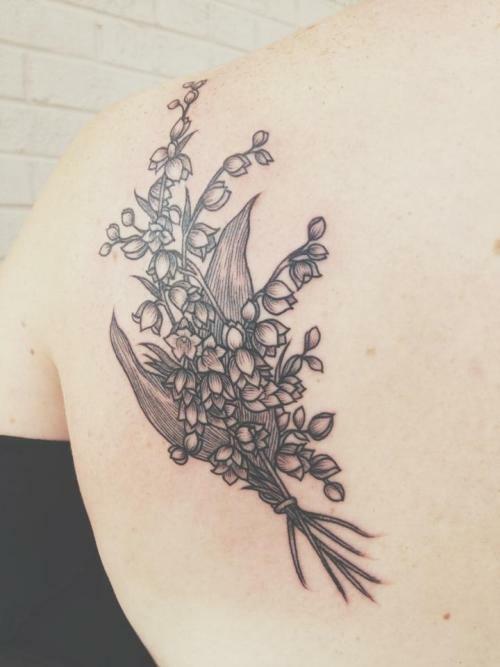 That is why these artistic birth flower tattoos are the perfect alternative! Plus, they have a special meaning for you, and isn’t that the point? Find your month below to see your birth flower, and enjoy these delicate and incredibly gorgeous floral designs. The simplicity of the snowdrop flower is quite beautiful. Whether you’re a man, or a woman, this design is “simply” wonderful. For those of you born in February, the Violet is your birth flower. How about those colours? The deep indigo and purple are stunning! Daffodils let the world know, “Hey, Spring is coming!” Their bright colours can make anyone’s day a whole lot better. If you’re a March baby, this is for you! The sweet pea is a delicate-looking flower, and as such, this watercolour style tattoo is perfect. Ah, lily of the valley. One of the most elegant flowers out there. If you were born in May, then this one is for you! Definitely my favourite of the “bunch.” The water lily is breathtaking on its own, but you have to admit, this design is incredible. The bright red colour of the poppy gives it a unique attribute that will certainly stand out amongst the crowd. Lovely! 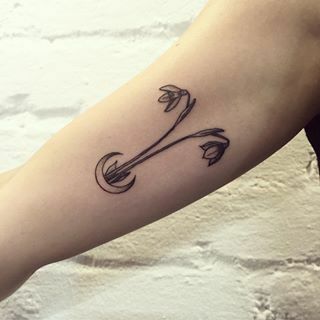 When I started looking for Aster tattoos (because I am a September baby) I noticed a lot of them were the same- massive, brightly coloured, and not my style at all. Thankfully, there are countless ways you can artistically portray a flower, as seen here. The marigold is also known as calendula, and is one of the more popular flower choices when it comes to tattoos. This design is bit more retro- and unique! Mums are wonderful for tattoos because they can go just about anywhere, have any colour (or none at all), and suit just about any personality type. A bit on the more realistic side, this holly tattoo is just one example of the many different varieties available for those born in December. Well there you have it folks- your birth flower tattoos; I hope you like yours as much as I like mine!